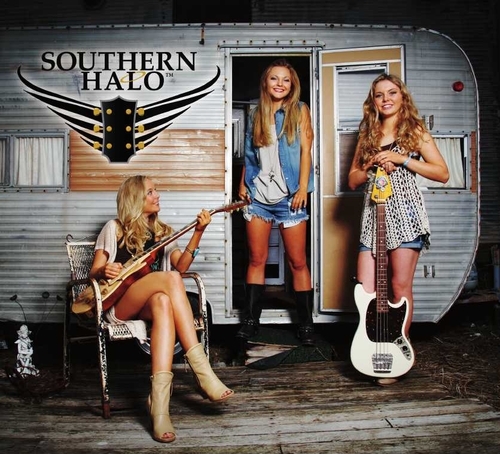 With a sound that mixes country, pop and rock, trio Southern Halo are a name to watch. 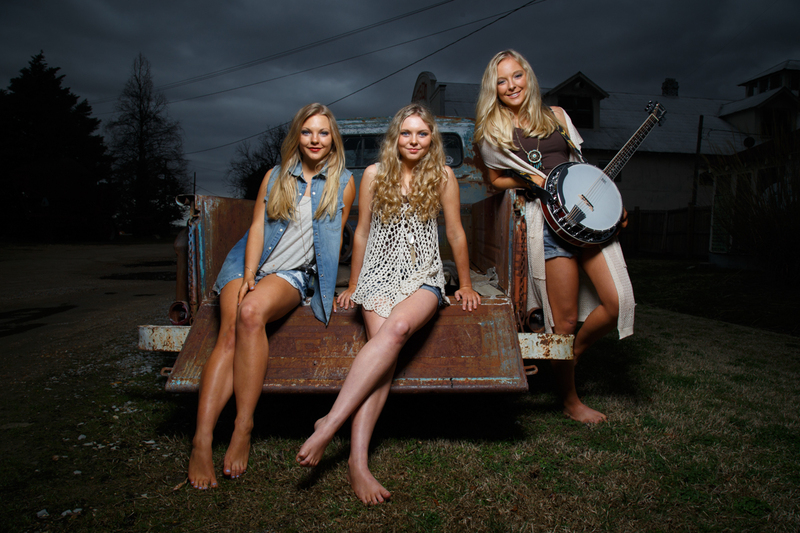 Hailing from Mississippi sisters Natalia, Christina and Hannah have been making waves in the country music scene. Their self titled album was released in 2015 and the bands popularity continues to grow. Playing The Garage in Highbury with support from the incredibly talented Jeannine Barry, this marked the start of their European tour, and also their first trip to the UK. Kicking off their set with the catchy ‘Little White Dress‘ they instantly drew me in, with their stage presence and tight vocal harmonies. The song was penned with Natalia, Catt Gravitt, and Gerald O’Brien and talks about putting the brakes on a relationship before it goes too far. The girls have so much energy onstage which encouraged the intimate crowd to sing and clap along. All three play instruments with Natalia playing guitar, Hannah on base and Christina on drums. The song that put these girls on the map ‘Living Like That’ didn’t disappoint, and nor did other originals such as ‘Rewind‘, ‘I Ain’t Crazy (But My Daddy Is) and personal favourite ‘This Song’ – a sweet track Natalia wrote for her boyfriend for Valentine’s Day. But it was their covers that really wowed the audience. In a somewhat brave move they took on modern country hits such as ‘Bartender‘ by Lady Antebellum and ‘Hell On Heels‘ by Pistol Annie’s, to classics including ‘Wagon Wheel’ by Old Crow Medicine Show (which had some fantastic participation from the audience) ‘Sweet Child Of Mine’ and ‘Proud Mary’ by Tina Tuner. They made each song their own and sounded effortless in doing so. After the show the girls took time to meet everyone and despite security trying to hurry people away, they stayed until everyone who wanted to meet them had their opportunity. They are a very sweet and a talented trio and have confirmed they will be back on British soil in June. Why you should be booking The Intercontinental London – O2 during your C2C Festival stay.